What are THIS THESE THAT THOSE? I’m sure all of you use THIS THESE THAT THOSE every time you have an English conversation. Give me THAT pen. Or I’m going to wear THIS jumper today. Can you pass me THOSE sweets, please? 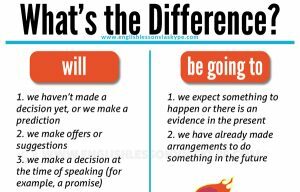 It’s time for us to learn what is the difference between THIS THESE THAT THOSE and how do we use them correctly in English? THIS THAT THESE THOSE are referred to as demonstrative adjectives and pronouns in English Grammar books. In English we use demonstrative adjectives when we want to refer to specific people or objects. THIS THAT THESE THOSE always go before the nouns they modify. We use THIS THAT THESE THOSE as demonstrative pronouns instead of nouns, not together with nouns. Can you give this letter to the teacher? That girl over there is really pretty. These books belong to Peter. In those days people only had maps. Hi, this is Sarah, can I speak to Jane please? We are going to Spain this summer. We often use this with in time phrases such as this summer, this winter, this week, this year, etc. I don’t really like to say this, but the service here is absolutely appalling. It’s always a good idea to make a grocery list. This way, you’ll be able to remember exactly what to buy. Is that a bird or a plane over there? What was that noise? Did you hear it? These trousers are really dirty. Why don’t you put them in the wash? These are the books I brought from Jane. I love these long summer evenings. It stays bright outside till around 10 p.m.
Those boys are waiving at you. Are they your friends? Do you remember those cycling trips we went on with Dad? Those were the days! -Sorry, I really didn’t have time to call you last night. That’s right – is one of the most frequent responses in English. It shows that you are in agreement, or you have understood a point. -Was it you who won the first prize a few years ago? – What have you been doing? – Oh, this and that. The global temperatures are getting warmer, that’s what they say. How to response to Good News in English? More information can always be found at BBC Learning English website.